Another find, without any help from my side. 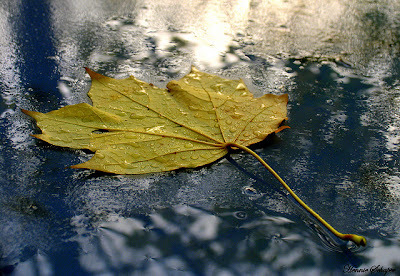 I spotted this leaf on our garden table, with the wetness all around making for a great setting. The diagonal composition did the rest.